Dieuseul Anger does not know his true age; the only thing he knows, he says, is that he is very old. Food for the Hungry (FH) staff suggests he is in his fifties, but if any man has a right to feel old, it’s Dieuseul. 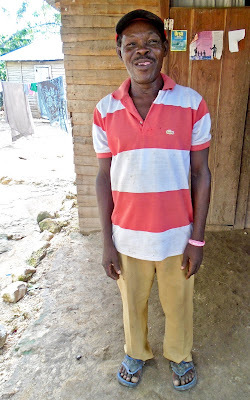 He has been living and farming in the Mategouasse community in the Belladere region in Haiti for as long as he can remember. And it hasn't always been easy. He and his wife have eleven children, seven boys and four girls ranging from seven to thirty-five years old. He even has six grandchildren. FH introduced keyhole gardening to the Mategouasse families this past year, and Dieuseul was the first enthusiastic farmer to implement the strategy. He is among the most active and influential members of the community and is highly respected. His support for the project galvanized more and more farmers to adopt the method. Dieuseul was eager to speak about the benefits of having a keyhole garden. 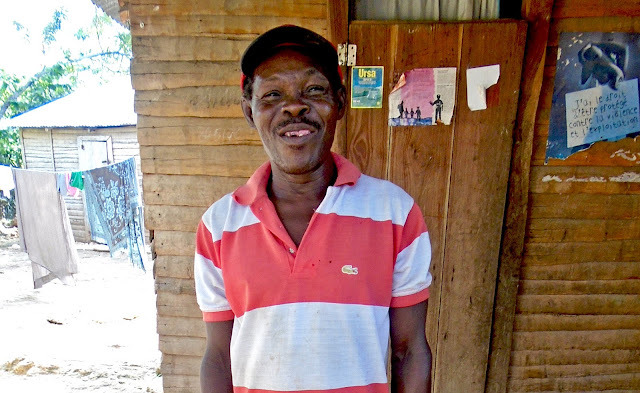 Farming is what Dieuseul’s does and is part of who he is. For years he has grown maize, cassava, peanuts, and black beans. Although he tried to grow vegetables many times, his attempts always met with failure due in part to a shortage of water and a need for more effective farming techniques. When he last spoke with FH staff it had been eight months since he built and began implementing a keyhole garden. He claims that when he first saw the keyhole, he thought it would prove too small to produce a worthwhile crop, but he went ahead and planted it with spinach, leeks, carrots, and cabbages. He was surprised to see the number and variety of vegetables that grew! “It’s always a pleasure,” says Dieuseul, “to see my wife and my daughters using vegetables from the keyhole in their cooking. “ The keyhole is important to the family; it saves them money and enables them to grow their own vegetables all year long. Dieuseul is encouraged that “the children will become healthier by eating good vegetables” and he adds that “even though a keyhole garden is not big, it has the potential to lift people out of poverty.” Selling produce from keyhole gardens is a potential source of income for households in the community. Dieuseul intends to build two more keyholes this month. Dieuseul is glad that his garden has encouraged other community members to build their own. Now other families in Mategouasse will reap the benefits he already sees and will be able to eat and sell quality vegetables. He hopes to see even more keyhole gardens being built, even more lives changing.